(91outcomes.com) - A study funded by a federal medical research program aimed at developing treatments for Gulf War Illness has found new insight into possible treatment pathways for the debilitating condition that affects as many as one-third of the veterans of the 1991 Gulf War. The study also confirmed previous findings of persistent neurological inflammation in a mouse model following Gulf War toxic exposures. Most notably, according to the study's findings, "the persistent neuroinflammation evident in our model presents a platform with which to identify novel biological pathways, correlating with emergent outcomes that may be amenable to therapeutic targeting. Furthermore, in this work we confirmed our previous findings that GW [Gulf War] agent exposure causes neuropathological changes.... We also extended upon our previous work to cover the lifespan of the laboratory mouse using a battery of neurobehavioral techniques." The study on which these findings are based was funded by the treatment-focused Gulf War Illness Research Program (GWIRP), within the Congressionally Directed Medical Research Program (CDMRP) administered by the U.S. Department of Defense health program. The study was funded in 2011 using FY10 CDMRP funds (GW100076). Front Integr Neurosci. 2015; 9: 71. Gulf War Illness (GWI) is a chronic multisymptom illness with a central nervous system component that includes memory impairment as well as neurological and musculoskeletal deficits. 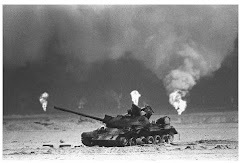 Previous studies have shown that in the First Persian Gulf War conflict (1990–1991) exposure to Gulf War (GW) agents, such as pyridostigmine bromide (PB) and permethrin (PER), were key contributors to the etiology of GWI. For this study, we used our previously established mouse model of GW agent exposure (10 days PB+PER) and undertook an extensive lifelong neurobehavioral characterization of the mice from 11 days to 22.5 months post exposure in order to address the persistence and chronicity of effects suffered by the current GWI patient population, 24 years post-exposure. Mice were evaluated using a battery of neurobehavioral testing paradigms, including Open Field Test (OFT), Elevated Plus Maze (EPM), Three Chamber Testing, Radial Arm Water Maze (RAWM), and Barnes Maze (BM) Test. We also carried out neuropathological analyses at 22.5 months post exposure to GW agents after the final behavioral testing. Our results demonstrate that PB+PER exposed mice exhibit neurobehavioral deficits beginning at the 13 months post exposure time point and continuing trends through the 22.5 month post exposure time point. Furthermore, neuropathological changes, including an increase in GFAP staining in the cerebral cortices of exposed mice, were noted 22.5 months post exposure. Thus, the persistent neuroinflammation evident in our model presents a platform with which to identify novel biological pathways, correlating with emergent outcomes that may be amenable to therapeutic targeting. Furthermore, in this work we confirmed our previous findings that GW agent exposure causes neuropathological changes, and have presented novel data which demonstrate increased disinhibition, and lack of social preference in PB+PER exposed mice at 13 months after exposure. We also extended upon our previous work to cover the lifespan of the laboratory mouse using a battery of neurobehavioral techniques. GWI is a chronic multisymptom illness with a CNS component. The pathobiology of GWI remains to be fully elucidated, however, a growing body of evidence suggests that immune and inflammatory dysregulation may be a persistent feature of GWI (Rook and Zumla, 1997; Skowera et al., 2004; Peakman et al., 2006; Broderick et al., 2011, 2012, 2013; Smylie et al., 2013; Craddock et al., 2014; Johnson et al., 2014; O'Callaghan et al., 2015; O'Donovan et al., 2015). There is also a large body of evidence on the relation between exposure to pesticides and elevated rates of chronic diseases where inflammation is a major component. These include several types of cancers, diabetes, neurodegenerative disorders like Parkinson's disease, Alzheimer's disease, Amyotrophic Lateral Sclerosis (ALS), and recently, GWI (Bonetta, 2002; Sherer et al., 2002; Abdollahi et al., 2004; de Souza et al., 2011; Mostafalou and Abdollahi, 2013; Baltazar et al., 2014). The common feature of chronic disorders is a perturbation in cellular homeostasis, which can be induced via pesticides' primary mechanisms of action. These include disruption of ion channels, enzymes, and receptors (Mostafalou and Abdollahi, 2013). 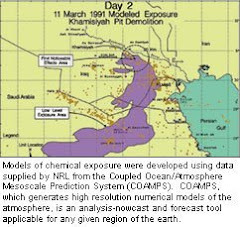 During the First Persian Gulf War, PB was used as a prophylactic agent against possible exposure to nerve gas agents such as sarin and soman (Sapolsky, 1998). The protective property of PB is due to its ability to shield the active site of the AChE from attack and subsequent irreversible inhibition by the nerve agents. PER is a broad-spectrum insecticide in the pyrethroid chemical family that works by quickly paralyzing the nervous systems of insects by interfering with the sodium channels. PER was employed as a pesticide by military personnel during the war, where uniforms and nets were pre-soaked with PER (Binns et al., 2008). Chronic neuroinflammation may be associated with chronic pain, fatigue, and cognitive impairment, and is recognized as one of the main symptom features of GWI in veterans of the Persian Gulf War (Fukuda et al., 1998; Steele, 2000; David et al., 2002; Vythilingam et al., 2005). GWI patients typically have altered pro- and anti-inflammatory cytokine expression in peripheral immune cells (Skowera et al., 2004; Broderick et al., 2011, 2013; Khaiboullina et al., 2014), and it has been suggested that exposure to PB and permethrin (PER) may have altered the balance of cytokine expression in veterans with GWI (Whistler et al., 2009; Broderick et al., 2011). PB and PER also modulate ACh-dependent immune mechanisms via inhibition of acetylcholinesterase (AChE) activity, through competitive and non-competitive mechanisms respectively, resulting in elevated peripheral ACh levels (Rao and Rao, 1995; Peden-Adams et al., 2004). GW agents have also been implicated in inducing immune responses similar to those seen with Th2 cell activation in the periphery via an ACh mediated mechanism (Punareewattana et al., 2001; Sullivan and Krieger, 2001; Nayak et al., 2004; Dantzer et al., 2008). Over-stimulation of the brain's immune response can shift it from homeostasis to a pro-inflammatory state which can result in deleterious effects on the central and peripheral nervous systems. These aberrant functions include nonspecific immune damage to neurons and impaired synaptic connections that accompany symptoms of cognitive impairment (Dantzer et al., 2008; Dilger and Johnson, 2008). To date, there are no effective treatments for GWI, and thus identification of biological pathways associated with long-term sequelae of exposure to GW agents is vital to understanding the pathogenic mechanisms of GWI and for developing novel therapies for treatment. Therefore, in this animal model of GW exposure, the consequences of combined PB+PER exposure in C57BL6/J mice were examined over a 2 year period, from 11 days to 22.5 months post exposure to GW agents. This work was conducted in order to set up a platform from which to identify biological mechanisms responsible for GW-agent induced pathobiology by spanning the life-time of the animal, so, we would be able to identify specific therapeutic targets in the future. This study chronicles a longitudinal study in a mouse model of GWI by characterizing the chronic neurobehavioral and neuropathological outcomes following acute early life exposure to GW agents (PB+PER). A battery of neurobehavioral tests were conducted in a single cohort of mice from 11 days to 22.5 months post exposure to GW agents or vehicle control. At 11 days post exposure, no differences were observed in anxiety or any overt signs of locomotor impairment. However, at 13 months post exposure PB+PER exposed mice spent significantly larger proportion of time in the open arms(s) of the EPM, and had an increased number of visits to the open arms as compared to their controls. In addition, PB+PER exposed mice spent significantly larger proportion of time in the center (the junction between the closed and the open arms) of the EPM, as compared to their counterparts. These findings indicate disinhibited behavior in these mice, as a consequence of GW agent exposure, as mice normally preferentially spend more time in dark closed spaces. However, unlike our study, a recent study conducted by Parihar et al. (2013) using a rat model of GWI demonstrated increased anxiety related behavior after exposure to PB, PER DEET and stress at a less chronic time point post-exposure (3 months). In addition, anxiety-like features were observed in a different mouse model of GWI after 28 days of exposure to PB, PER, DEET, and stress, as indicated by an increase in time spent at the periphery of the OFT arena (Abdullah et al., 2012). Our studies are the first to demonstrate increased disinhibition in PB+PER exposed mice at 13 months after exposure. Disinhibition has been linked with dysfunction of the prefrontal cortex, an area which is crucial for decision making (Hains and Arnsten, 2008; Gruber et al., 2010). For example, Vasterling and colleagues have demonstrated a pattern of cognitive disinhibition and commission errors in a cohort of Persian Gulf War veterans in tasks which relate to attention and memory performance (Vasterling et al., 1998). However, with regards to GW agent exposure paradigms, further studies are warranted in order to definitively confirm the involvement of the prefrontal cortex in mediating anxiety-like behaviors seen in our model. The Three Chamber Test and the RAWM were also performed at approximately 13 months post exposure. During the Three Chamber testing, PB+PER exposed mice showed a lack of social preference. Fiedler et al. reported that Gulf War Veterans (GWV) had a significantly higher prevalence of psychiatric diagnoses as compared to controls, with deployment as a powerful predictor of current depression and anxiety disorders decades after the end of the GW (Fiedler et al., 2006). Black et al. reported that GWV had a markedly higher prevalence of current anxiety disorders as compared to non-deployed military personnel (5.9 vs. 2.8%) (Black et al., 2004). Furthermore, anxiety disorders in GWV were associated with co-occurring psychiatric disorders such as panic disorder, generalized anxiety disorder and PTSD and in GWV as compared to controls were each present at rates nearly twice those expected (Black et al., 2004). Combat and extreme psychological stressors were less common and less sustained in the Gulf War as compared to other wars (including recent Middle East deployments), and PTSD rates are lower in GWV than in veterans of other wars (Binns et al., 2008). However, in a recent study of GWV, with and without PTSD, those with the co-morbid expression of PTSD showed increased brain activity in areas spanning the amygdala and the anterior cingulate cortex (Bierer et al., 2015). Since the anterior cingulate cortex has been associated with functions related to rational cognition, reward anticipation, decision making, impulse control and emotion (Bush et al., 2000, 2002; Williams et al., 2004), any change within this structure may lead to functional changes, such as behavioral disturbances. Cognitive deficits using this PB+PER paradigm have been previously demonstrated in this model of GW agent at 5 months post exposure (~8.5 months of age) by Zakirova et al. (2015), therefore, as we wanted to expand the characterization of this mouse model, neurobehavioral testing in this cohort was conducted at much later time points. In addition, in this cohort we explored different mazes such as the RAWM and the BM, that are primarily designed to measure place learning and memory using environmental visuospatial cues. At 13 months post exposure, post-hoc testing revealed no significant differences between PB+PER exposed and control mice by day during RAWM testing when examining goal arm frequency [visits to the goal arm (#)] and goal arm duration [time spent at the goal arm (s)]. When examining the cumulative distance traveled, differences were detected on day 2 of acquisition trial by post-hoc testing, however, no overall differences were detected between the two groups; likewise, no differences were noted when examining their velocities. In addition, differences between exposed and control mice were detected using RAWM testing when examining working memory errors (#) and reference memory errors (#) made by either the exposed or control mice over the 5 day acquisition testing period. No main effect of exposure was observed when examining both parameters, although, significant differences were noted when examining the interaction between exposure and days post exposure for the number of reference memory errors (#). Additionally, apparent trends were noted in the exposed mice when examining both the number of errors made when examining both working and reference memory. Specifically, it appears as though during the first 3 days of RAWM acquisition testing the exposed mice behave poorly as compared to controls when examining working memory errors, however, by day 4 and 5 of acquisition testing the exposed mice perform better and/or on par with their controls littermates. Interestingly, similar trends are observed when examining the number of reference memory errors. Albeit, purely speculative, we suspect that this acute period of exercise may have improved and/or augmented the working and reference memory performance in PB+PER exposed mice. Exercise has been shown to improve memory acquisition and retrieval in mice (Van der Borght et al., 2007). In addition, exercise has been shown to significantly increase the number of maturing neurons, indicating that an increase in neurogenesis may be linked to the beneficial effects of exercise (Van der Borght et al., 2007). Furthermore, an acute period of exercise combined with working memory training has been shown to have synergistic and long-lasting effects on general cognitive performance in mice when voluntary running wheel access was combined with radial arm maze testing (Smith et al., 2013). Therefore, these data may indicate that acute exercise in the form of RAWM acquisition testing may have beneficial but transient effects on both working and reference memory in PB+PER exposed mice. Overall these data suggest that although learning abilities appear to be intact in PB+PER exposed mice, although some discrete differences in working and reference memory errors were observed when examining the two groups by acquisition trial days, at 13 months post exposure to GW agents. It is also worth to consider that different maze tasks are able to measure different types of cognitive tasks; therefore, the fact that we used RAWM testing instead of BM testing, which in principal are both designed to measure place learning and memory using environmental visuospatial cues, harbor their own inherent differences. For instance, as Hodges (1996) highlighted, maze tasks differ from one another in many different ways: (a) the types of apparati, which may vary in environmental settings e.g., water vs. land) to multifaceted routes (such as the RAWM); (b) to different types of visuospatial, associative or sensory cues; (c) to various task requirements, which range from random search strategy/exploration to complex and structured sequences of choices; and (d) motivation, such as the opportunity for escape, or find shelter, or to explored novel objects in a new location. Given this multiplicity, it is likely that mazes showcase a variety of neuronal processes that may contribute to spatial learning and memory. Thus, the cognitive skill sets measured using one behavioral test may not be the same as those employed in another, which may create difficulties for the interpretation of exposure-related deficits. In addition, age plays an important role in mice in the context of age sensitivity as it relates to discerning exposure-dependent changes (Kennard and Woodruff-Pak, 2011). For example, Gower and Lamberty (Gower and Lamberty, 1993) reported that deficits in acquisition and retention of spatial memory are independent of spontaneous locomotor, sensorimotor, or emotional deficits from middle age (11–12 months) to old age mice (22 months). It has also been demonstrated that genotype has an effect on certain aspects of behavioral tests. For instance, Owen et al. (1997) conducted an extensive comparison of water maze testing performance in 12 mouse strains commonly used for genetic backgrounds and seven hybrid strains. Of those examined, only the C57BL6/J, C57BL10/J, and 129/SvevTac strains were capable of complex learning across multiple tasks, which included water maze testing. The C57BL6/J mice used in these studies were approximately 16.5 months of age and roughly 13 months post exposure to GW agents at the time of RAWM testing. Therefore, the behavioral differences observed in the PB+PER exposed mice during the RAWM acquisition testing, revealing alterations in working memory errors as well as reference memory errors exemplified by poor retention procedural aspects of the behavioral test, as well as poor retention of spatial memory, which are rely on both trial dependent and trial independent storage/processing of memories. It is important to note that water maze based tests do not only highlight hippocampal-dependent tasks. Woodruff-Pak et al. demonstrated that the process of aging impacts brain structures and associated behaviors differentially, with the cerebellum showing earlier senescence than the hippocampus (Woodruff-Pak et al., 2010). Therefore, age may affect other brain regions, which may initiate age-related deficits in spatial memory performance. The BM is a hippocampal-dependent behavioral test (Yuede et al., 2007; Ziehn et al., 2010). In studies using unexposed, C57Bl6/J mice, older mice (12 and 18 months) made more errors during BM testing than younger mice (3 and 6 months) and relied more on a serial search strategy rather than a spatial strategy (Bach et al., 1999; Kennard and Woodruff-Pak, 2011). we have shown deficits in C57BL/6 mice as early as ~8.5 months of age and ~5 months post exposure to GW agents (Zakirova et al., 2015). In addition, when these GW agent exposed mice were tested at 26 months of age (22.5 months post exposure) using the BM, the exposed mice appeared to make more primary errors as compared to controls, although those differences failed to reach statistical significance. In addition, at this final time point of evaluation, no differences were observed in anxiety-like behaviors in PB+PER exposed mice as compared to controls when examined by EPM. Interestingly, Three Chamber testing at 22.5 months post exposure to GW agents revealed that PB+PER exposed mice exhibited normal sociability and social interaction behaviors, akin to the normal behaviors exhibited by their control counterparts. For instance when examining Sociability and Social interaction, the preference for visiting and spending time with either the empty cage or the novel mouse (stranger 1), PB+PER mice showed a strong preference for spending more time with the stranger 1 mouse over the empty cage, much like the control mice. However, when we examined Social Novelty and Social Memory, the preference for visiting and spending time with now familiar mouse (stranger 1) as compared to the novel mouse (stranger 2), both control mice and PB+PER mice did not exhibit a strong preference for spending time with one mouse over the other. Albeit purely speculative, these data may suggest that certain aspects of social memory/social novelty may be impaired in these mice at such an advanced age. Therefore, we hypothesize that an age effect masked the behavioral differences previously observed in these mice post exposure to GW agents. The context of age sensitivity, as it relates to discerning exposure-dependent changes, is not only associated with neurobehavioral changes, but also correlates with neuropathological changes. Astrocytes undergo a complex age-dependent remodeling in a brain region-specific manner. The morphological aging of astrocytes was recently investigated in the cortices and the hippocampi of male SV129/C57BL6 mice of different age groups (3, 9, 18, and 24 months) (Rodríguez et al., 2014). This investigation revealed that GFAP-positive profiles in the hippocampus showed progressive age-dependent hypertrophy, as indicated by an increase in surface, volume, and somata volume at 24 months of age compared with 3-month-old mice (Rodríguez et al., 2014). On the other hand, aging induced a decrease in GFAP-positive astroglial profiles in the entorhinal cortex (EC) (Rodríguez et al., 2014). In contrast to these observations, an increase in GFAP immunostaining was observed in PB+PER exposed mice as compared to controls when examining their cerebral cortices 22.5 months post exposure. This increase in astrogliosis in the cerebral cortices of exposed mice is a constant feature of GW exposure in this animal model, which has been demonstrated at 5 months (Zakirova et al., 2015), 16 months (pers. comm., L. Abdullah), and 22.5 months post exposure (as mentioned here). In addition, there was a slight increase in GFAP staining in the hippocampi of PB+PER exposed mice as compared to controls at 22.5 months post exposure, however, those findings may have been confounded due to the age of the animals (26 months of age—close to the life-span for laboratory mice). Thus, these findings underscore astrogliosis as a persistent and pivotal feature of age-progressive cognitive impairments and neuropathological deficits as a result of GW agent exposure early on in life. To the best of our knowledge, this work is the first to chronicle such an extensive chronic neurobehavioral characterization using an animal model of GW agent exposure. In addition, neuropathological studies were performed at 22.5 months post exposure to GW agents (well into the end of the life-span for laboratory mice). This lifespan analysis models, in mice, the time that has passed since the current GWI patient population received their pathogenic exposures (nearly two and half decades) as well as the expected progression of the illness, and thus is of considerable relevance for translational research. In conclusion, the work detailed here describes the successful implementation of this model as a platform in which to identify biological mechanisms responsible for GW-agent induced pathobiology, and thereby to identify therapeutic targets. Validation of one of these targets will be done in the future studies. Specifically, given the persistent signature of chronic but mild neuroinflammation evident in this animal model, future studies will focus on implementing anti-inflammatory agents in order to investigate whether therapeutic intervention earlier in life (middle age) will be beneficial in mediating the effects of inflammation and thereby therapeutically modulating cognitive impairment in this mouse model of GW agent exposure. Conceived and designed the experiments: GA, FC, and VM. Performed the experiments: ZZ, SH, and LH. Analyzed the data: GC, LA, and ZZ. Contributed reagents/materials/analysis tools: FC and GA. Wrote the paper: ZZ, FC, and GA. This research was funded by a Congressionally Directed Medical Research Program award to GA (GW100076), VA merit award to FC and by the Roskamp Foundation. The funders had no role in study design, data collection and analysis, decision to publish, or preparation of the manuscript.